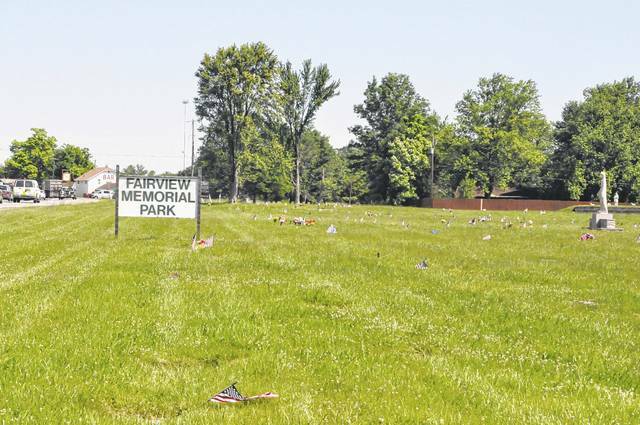 A hearing has been scheduled to determine the fate of Fairview Memorial Park after a judge ordered that the cemetery be sold or dissolved. The owners of Fairview, Theodore and Arminda Martin, are currently facing charges for engaging in a pattern of corrupt activity as well as dozens of theft charges in Delaware County Common Pleas Court for allegedly selling cemetery plots and other items to Delaware County individuals, but never following through with delivery and instead spending the money at a casino in Pennsylvania. After the Martins were indicted, the cemetery fell into disrepair and Christopher Betts, a civil division county prosecutor, filed a lawsuit against the Martins, asking that the court appoint a receiver to care for the cemetery and asking that Fairview Memorial Park Incorporated be dissolved. Court records indicate that the Martins were served copies of the lawsuit in May, but never responded to the lawsuit. The Martins are currently incarcerated for a federal tax evasion charge. On Aug. 16, Betts filed a motion asking for a default judgment against the Martins from Delaware County Common Pleas Judge David Gormley, because they had not responded to the lawsuit in any way. On Aug. 22, Gormley filed an entry for a default judgment and ordered that Fairview be sold or judicially dissolved. Gormley then scheduled a hearing for Sept. 22 at 2 p.m. to discuss the next steps in the case. A.C. Strip, a Columbus attorney, was appointed as a receiver for the cemetery in May and has been managing the cemetery’s finances since his appointment. In a report filed with the court, he stated the cemetery’s bank account had a negative balance when he was appointed, but he has since conducted several funeral services and reported the account had a balance of $3,650 as of July 13. Strip has previously reported to the court that he is actively trying to find a buyer for the cemetery. Strip is expected to attend the Sept. 22 hearing, according to court documents. The Martins remained in prison for a separate federal tax evasion charge as of Wednesday. They are scheduled to stand trial in Delaware County Common Pleas Court on Oct. 10. On Aug. 22, Delaware County Common Pleas Judge David Gormley filed an entry for a default judgment and ordered that Fairview Memorial Park be sold or judicially dissolved. A hearing on the matter is scheduled for Sept. 22 in Common Pleas Court. Glenn Battishill can reach via email at gbattishill@delgazette.com or on Twitter @BattishillDG.